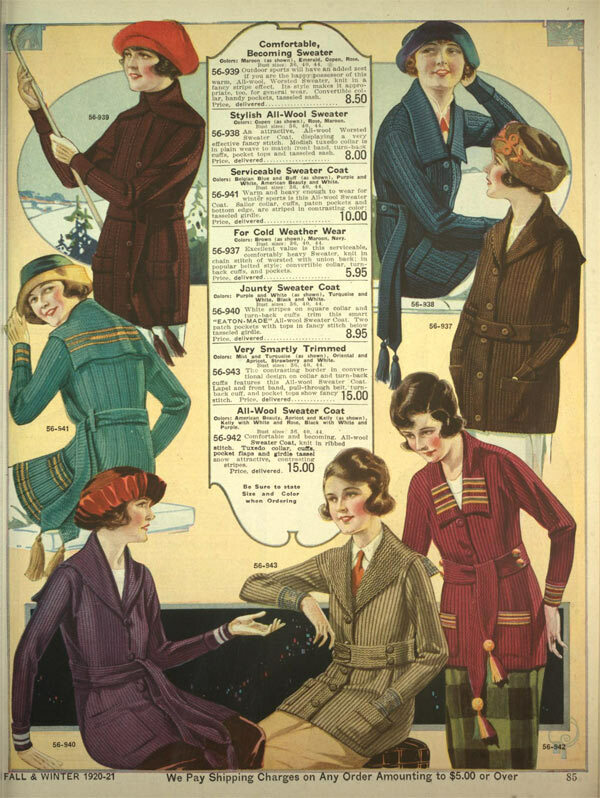 After World War I, the fashion landscape shifted like tectonic plates. 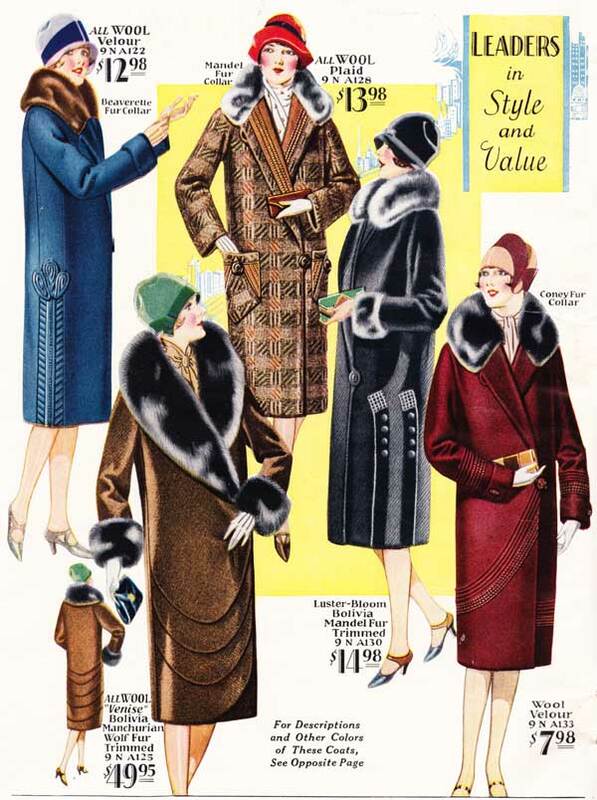 Once reserved for aristocrats and the affluent, high fashion had taken a noticeably more attainable turn, allowing middle class men and women in on the fun. 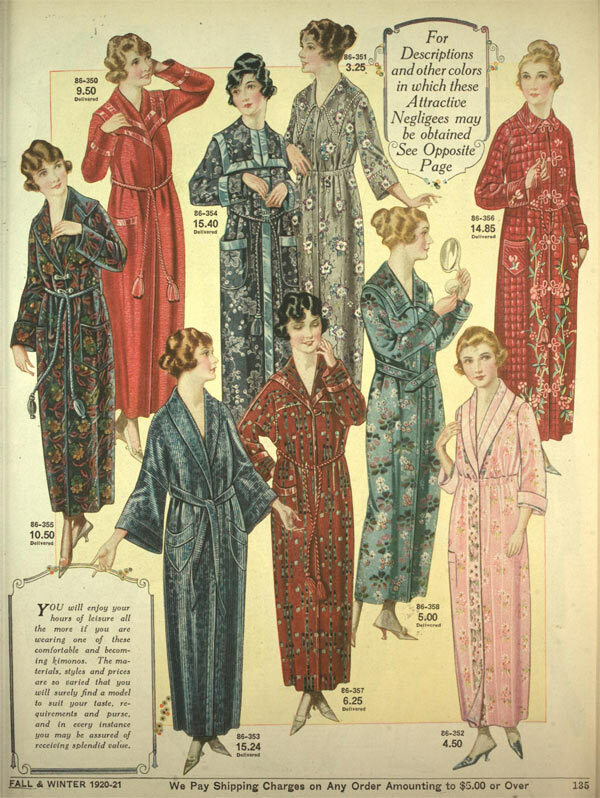 Some luxurious textiles were finally affordable, making it possible for fashionable items to be created at home. 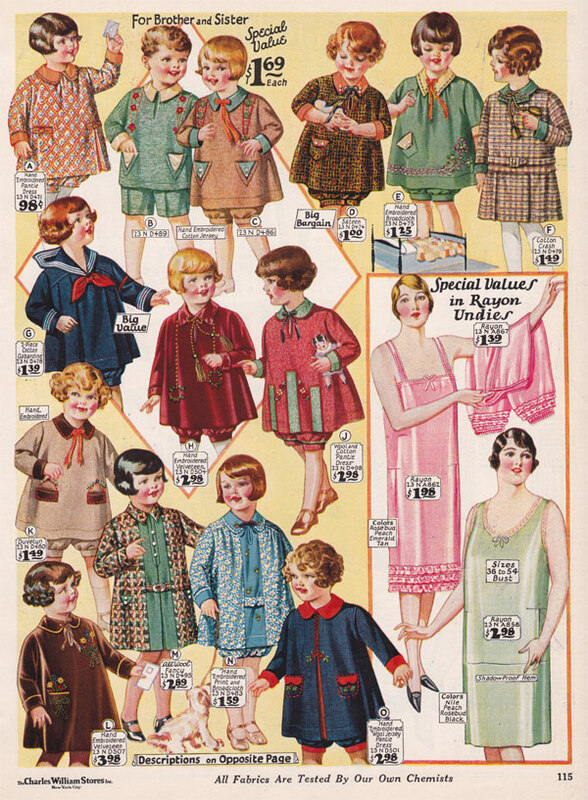 In the 1920s it was still quite common for clothes to be handmade. Designers and homemakers alike were throwing caution to the wind, trying daring new styles just to see what they could get away with. In this instance, I’m speaking of young, stylish city women. Many women who lived in rural areas wore nearly the same as their mothers. 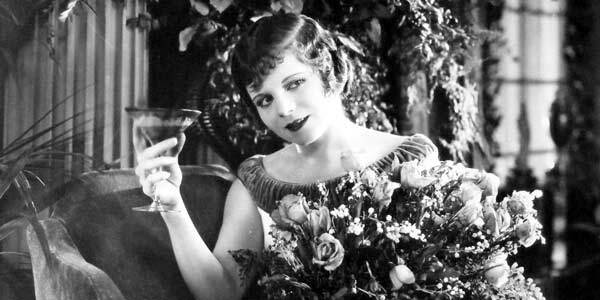 There were very different types of people converging at once in the 1920s from many different walks of life. Some were desperate for change, others wanted nothing to do with it. 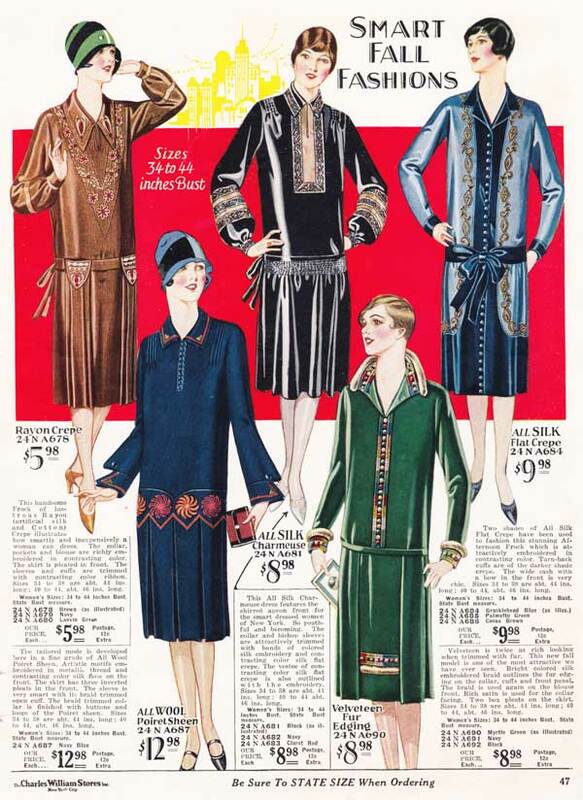 Share your love for 1920s Fashion: What Did People Wear? 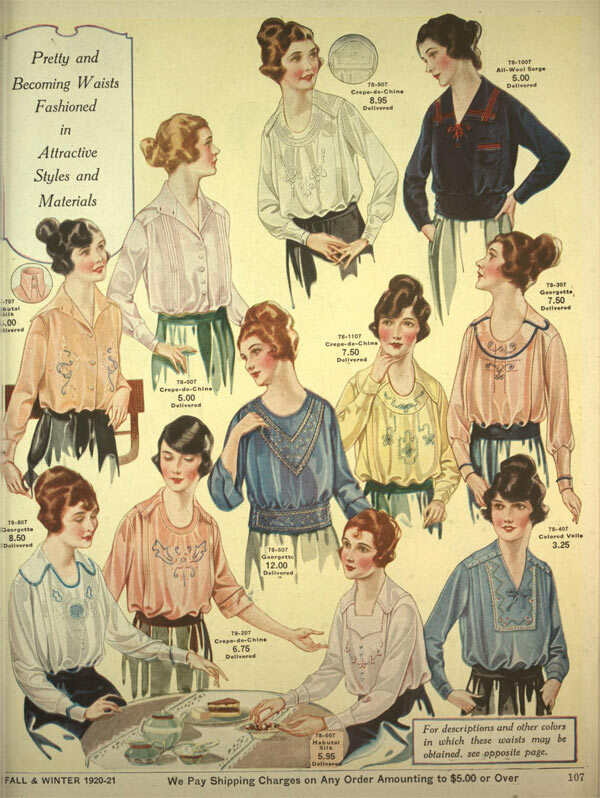 Before we dive into all of the pictures we have below, what are some basic elements of the 1920s wardrobe? 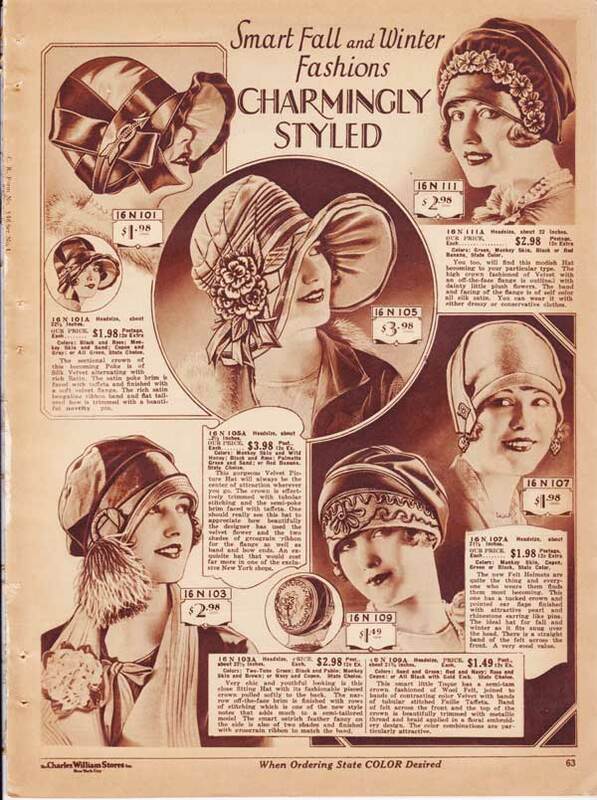 What type of hats did women wear in the 1920s? 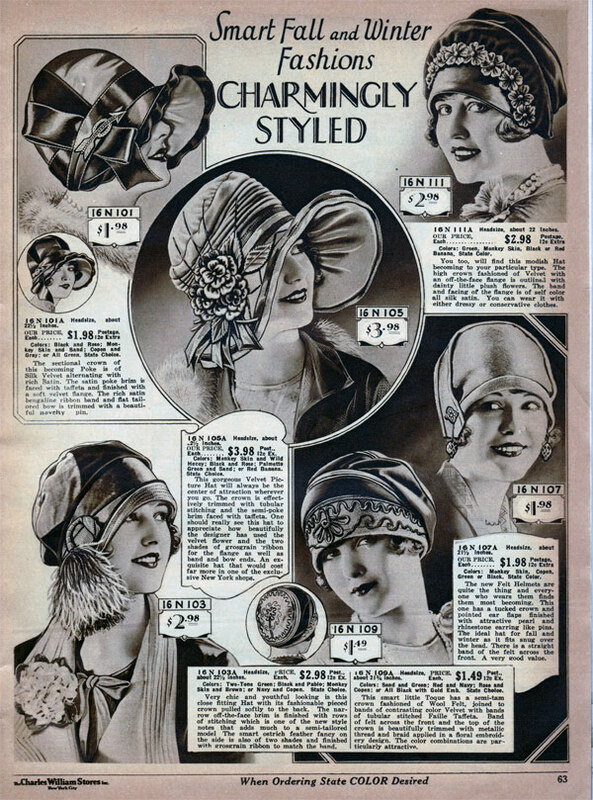 Headwear was a vital part of the fashionable woman’s outfit. 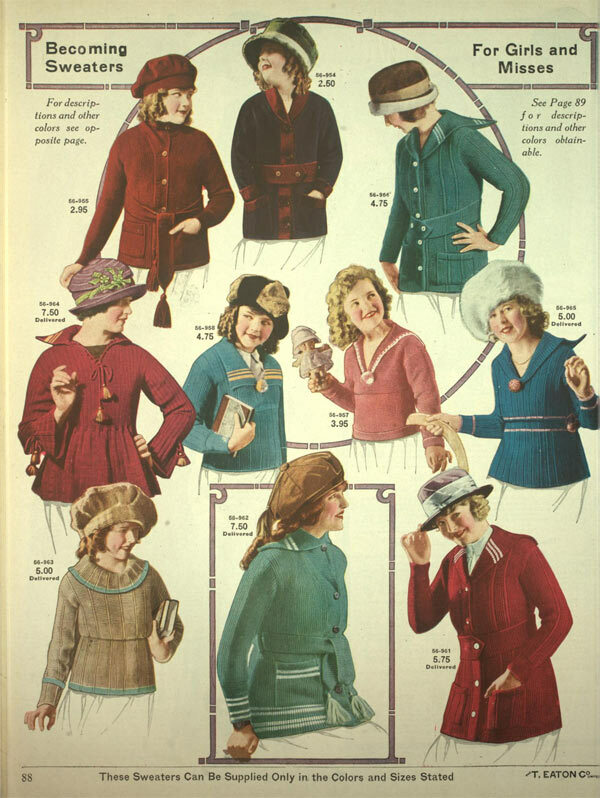 There several styles seen, some styled almost like bonnets, while others were very close fitting, called Felt Helmets. Many hats were adorned with silk roses, ribbons, buckles, pins, feathers and more. Some had a ribbon loop on the side, others were velvet with gold lace trim. The style variations were endless. A very chic and youthful looking hat could be close-fitting with a fashionable pieced crown pulled softly to the back. The narrow off-the-face brim was finished with rows of stitching. The smart ostrich fancy on the side was of two shades and finished with grosgrain ribbon. Other styles might feature a high crown fashioned of velvet with an off-the-face flange that was outlined with dainty plush flowers. The band and flange facing was made of silk satin. Larger hats were better at making the wearer the center of attention. The crown was effectively trimmed with tubular stitching and the semi-poke brim faced with taffeta. It was a hat so spectacular it had to be seen to be truly appreciated. The designer had used the velvet flower and grosgrain ribbon as well as band and bow ends. Hats like these were featured quite prominently in exclusive New York fashion shops, costing twice as much as most other hats. 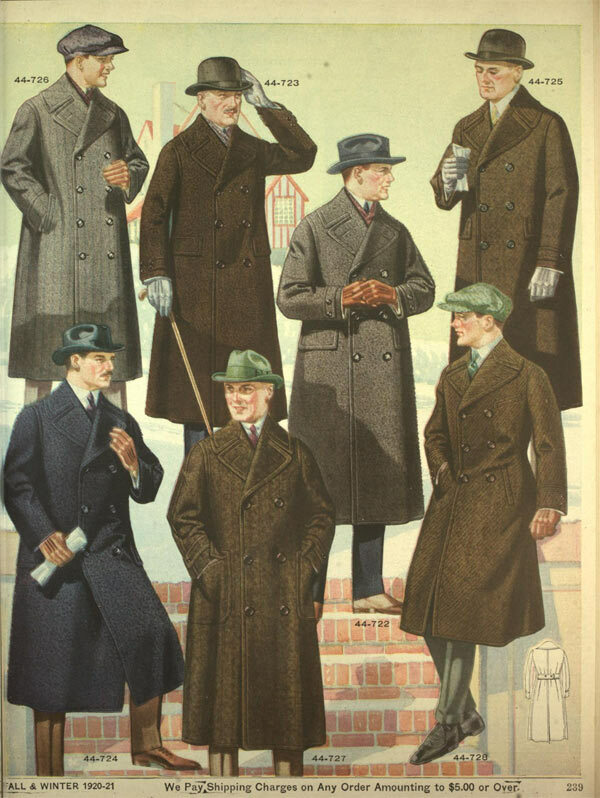 While women’s hats varied greatly in style, men’s hats were the opposite. For the most part, men wore black, blue or some shade of brown. 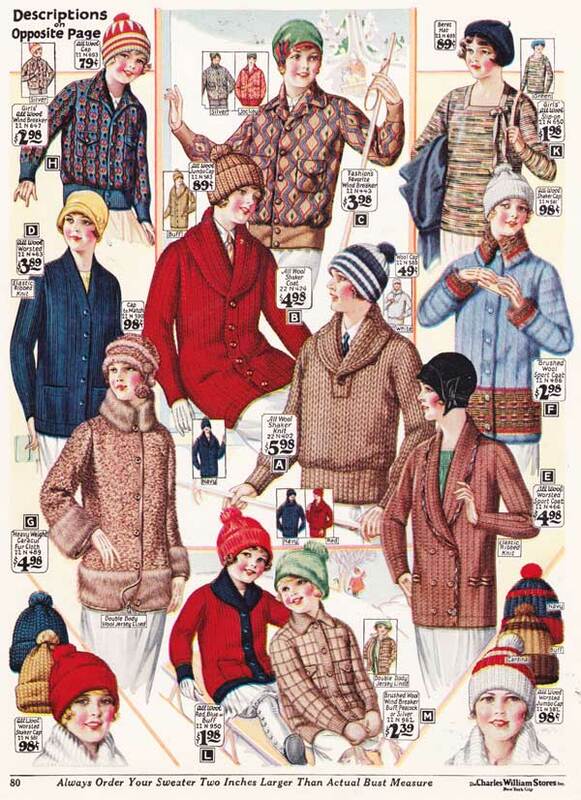 Their hats were typically made of felt and were the same collegiate style you see in every 1920s period movie you’ve ever seen. 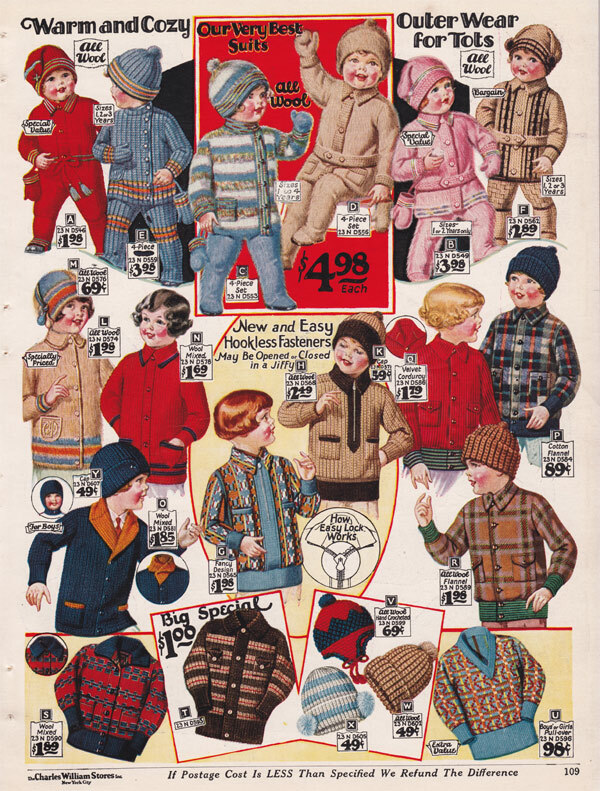 If it wasn’t a fedora-style hat, then it was a wool, snap-front newsboy hat. This lack of variety makes sense; it was not common for men at the time to be wildly flamboyant. 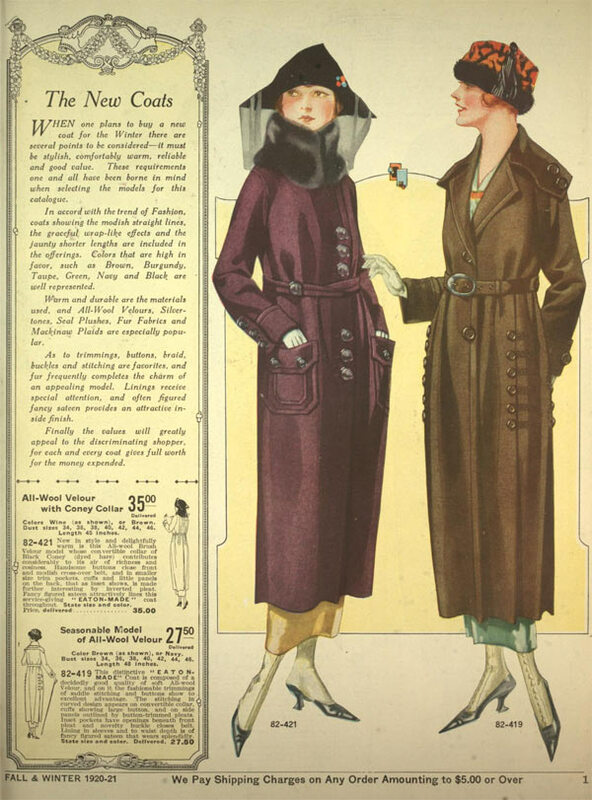 What type of coats did women wear in the 1920s? 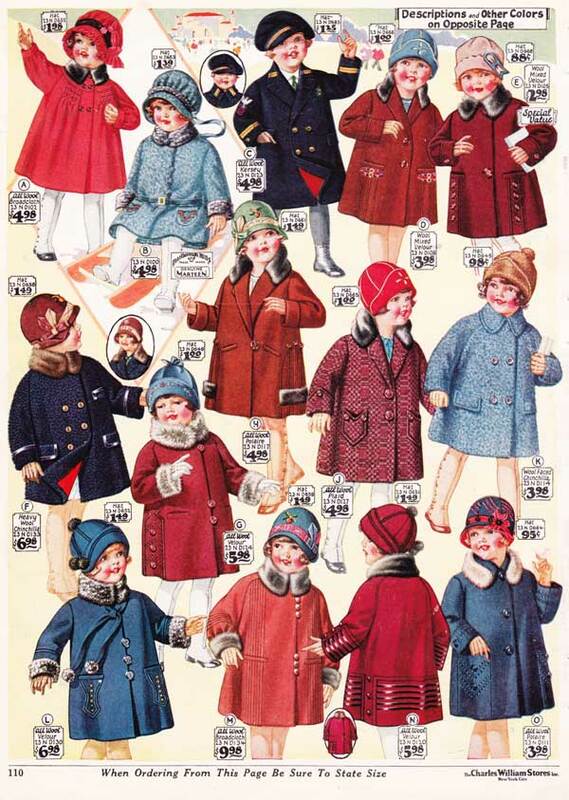 Coats were usually made of somewhat subdued colors, browns and dark blues, and were often covered with large buttons. Furs and fur trimming was wildly popular. 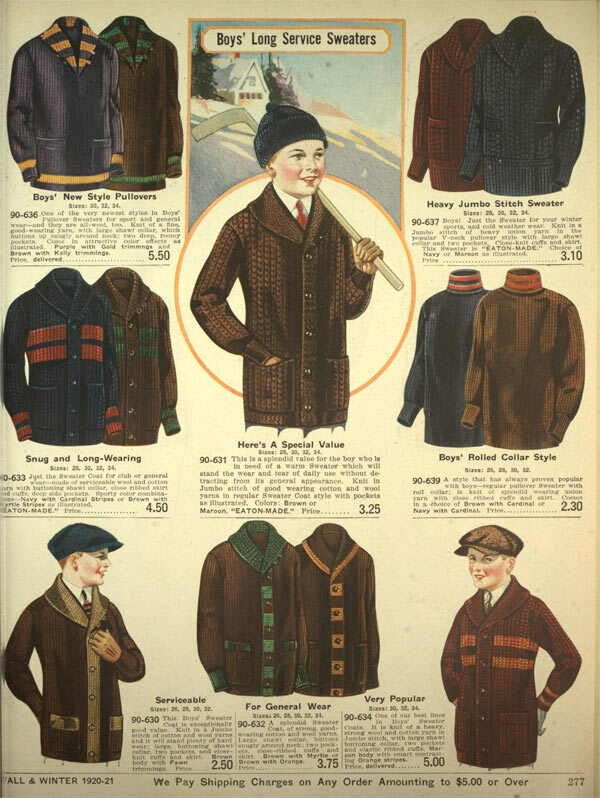 Just about any animal imaginable was available to line the inside of a coat or to serve as a warm collar. 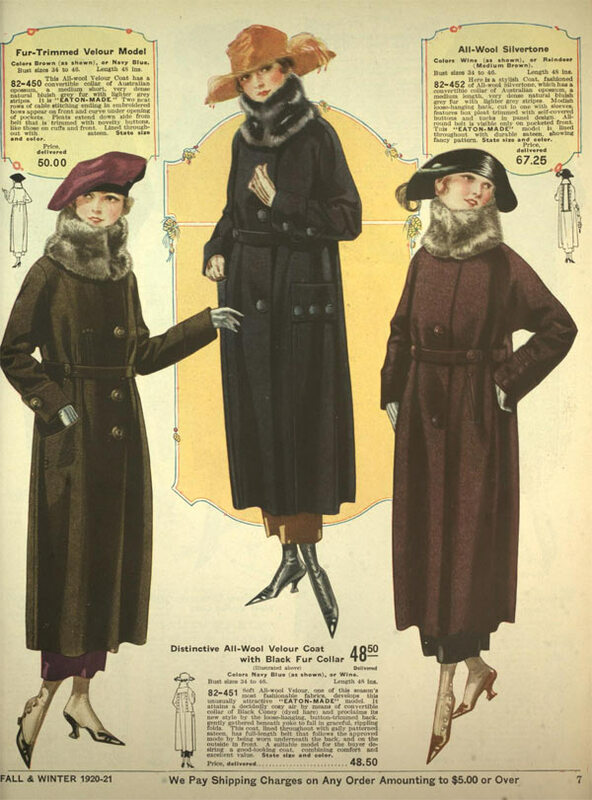 In the early 1920s, bows weren’t necessary prominent features on women’s coats, but by the mid twenties, Paris had cabled the world to let them know: bows are in. 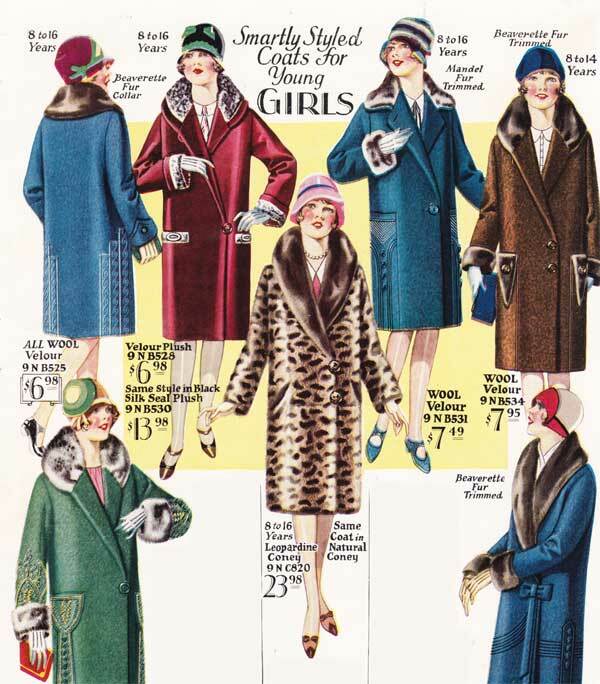 Depending on the budget, a woman would generally choose between wool velour and fur. 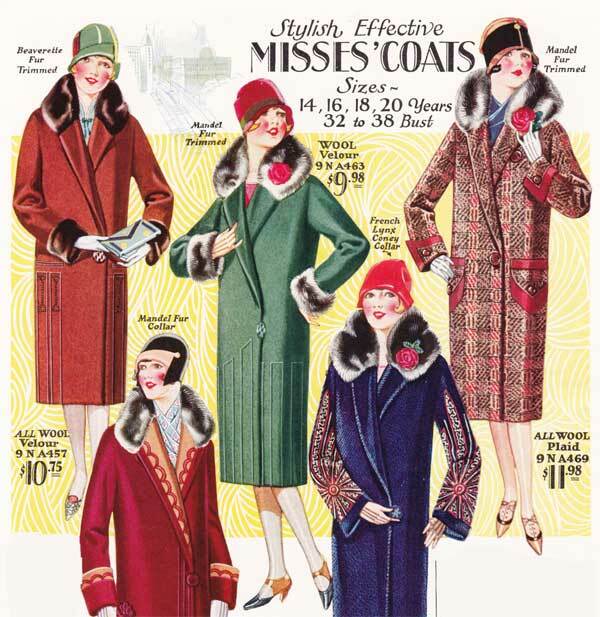 A particularly nice coat might be made of all-wool Venise Bolivia, with a Paris bow and buckle that fastened in front of the left hip. 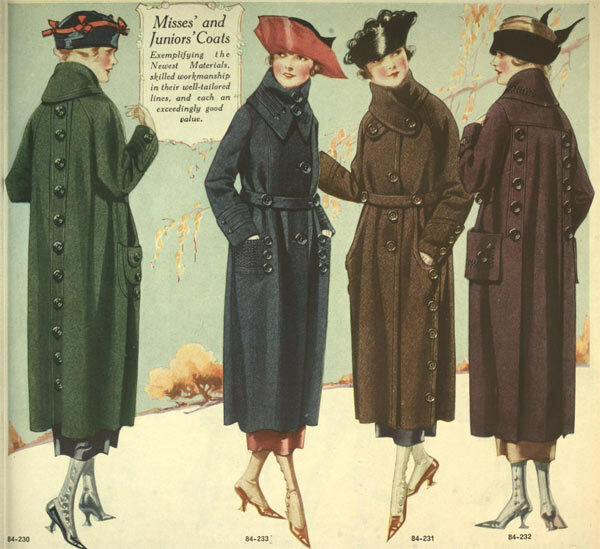 While many coats were long, stretching below the knee, a shorter coat was also in fashion. 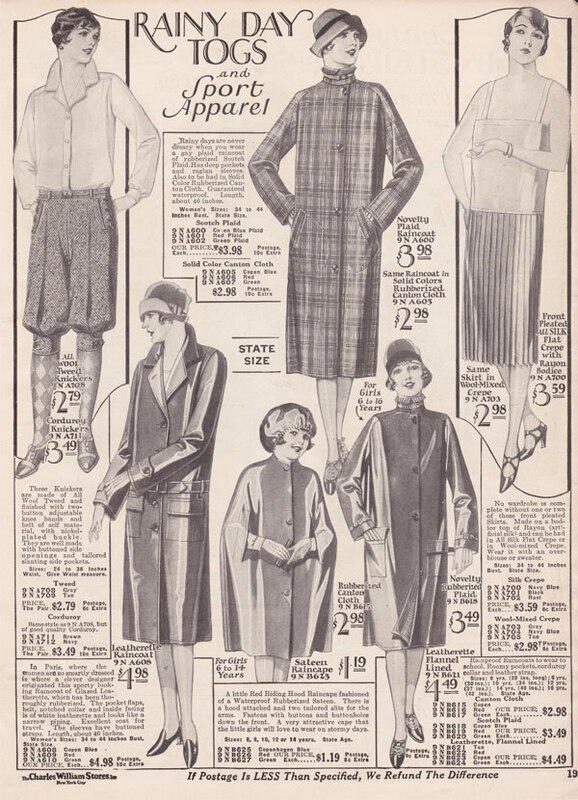 Short sport jacquettes were quite popular for their convenience and functionality. Coney fur in a natural tan shade, or dyed in silverine shade (silver/gray blended with dark markings) was a popular choice for this coat. Another popular shade was called Muskratine, which was dyed in a tan shade with brown markings to closely resemble the natural muskrat. 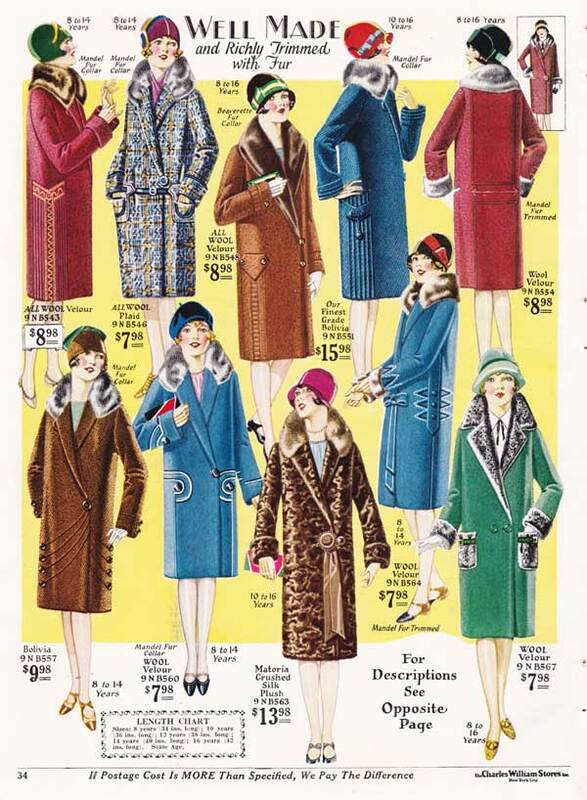 One could write a book on all of the varieties of 1920s coats and surely more detail will arrive here eventually. 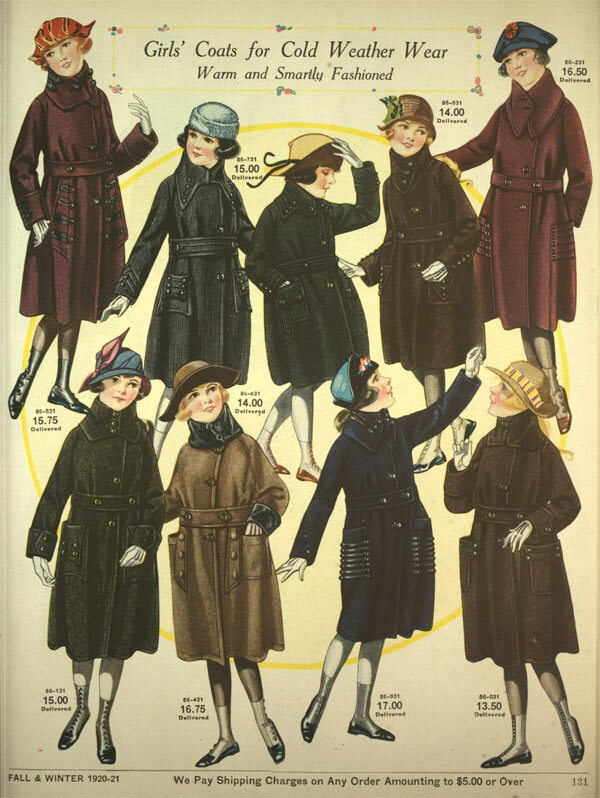 The staggering myriad of styles, fabrics and prices gave women unprecedented options when it came to overcoats. 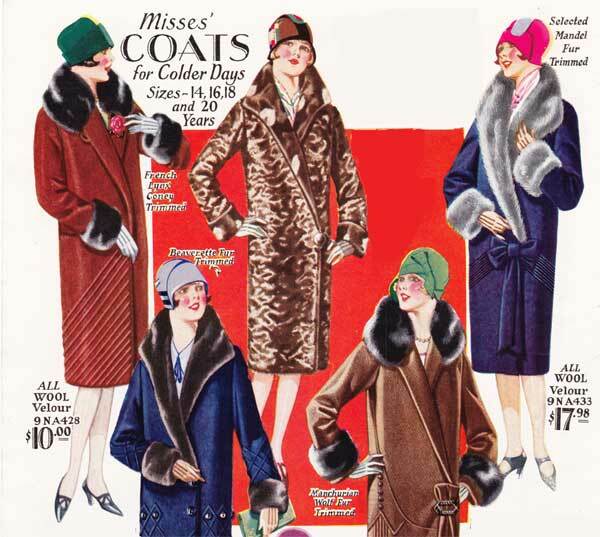 Men wore fur coats for dress and for sport. 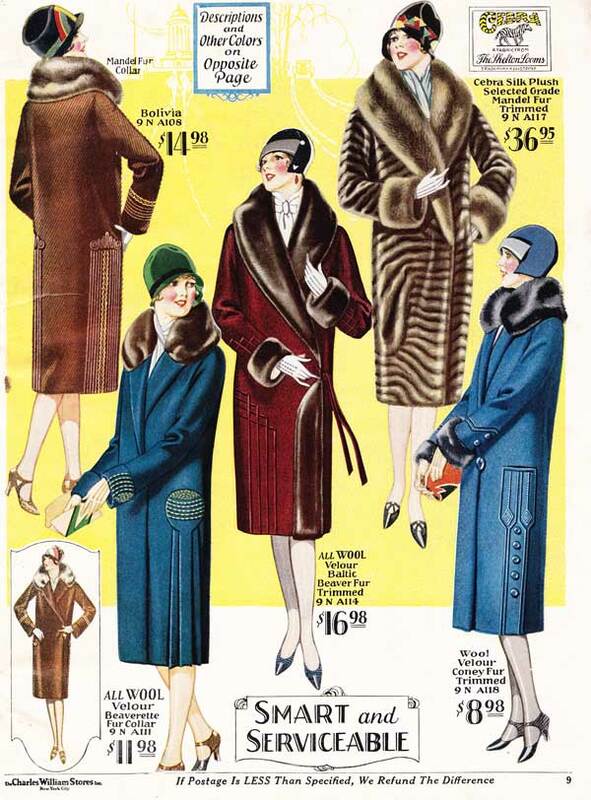 In the mid-1920s, a man could do no better than to spend $42.75 on a warm, genuine black pony fur coat. It was tailored in the popular collegiate style, featuring durable yoke lining of high quality sateen and an all-wool plaid cheviot. It was double breasted and had snug wristlets to keep the wind out. 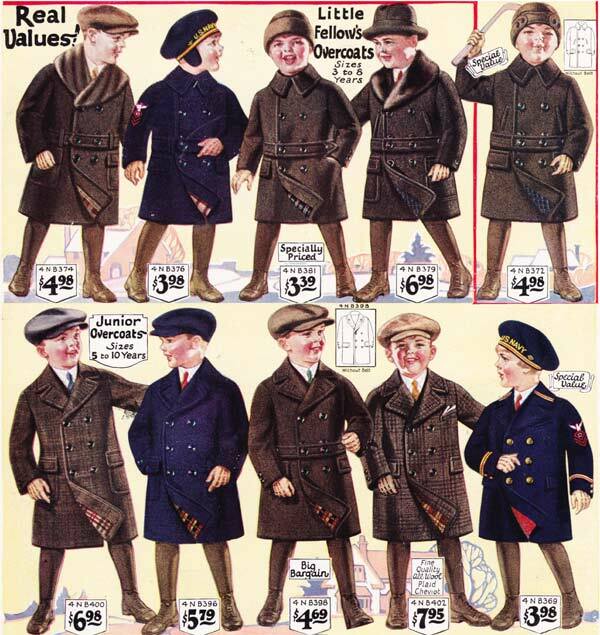 Other men would be smart to wear a fur-lined Ulster made of Holmes St. George all-wool Black Kersey. The body lining was made of black Manchurian Wolf Dog. The sateen sleeve lining was quilted. 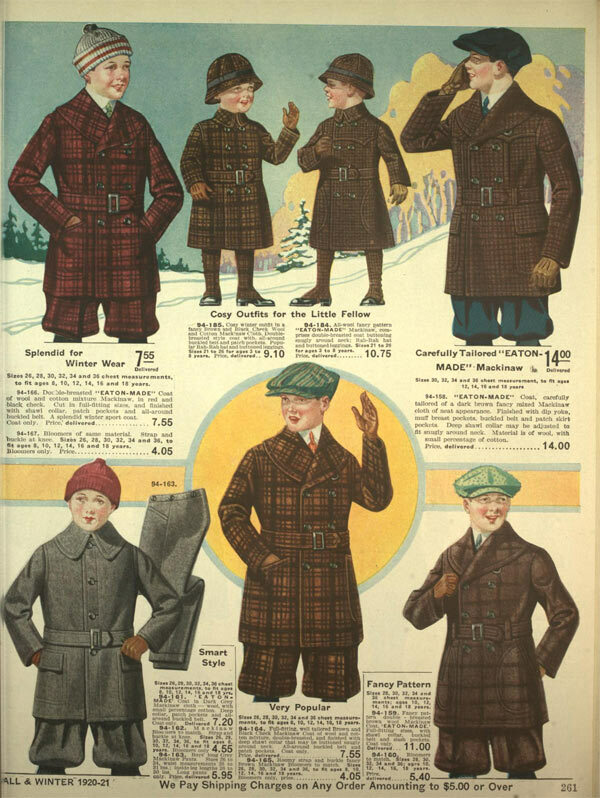 These coats were extremely well made and were meant to last for several years. 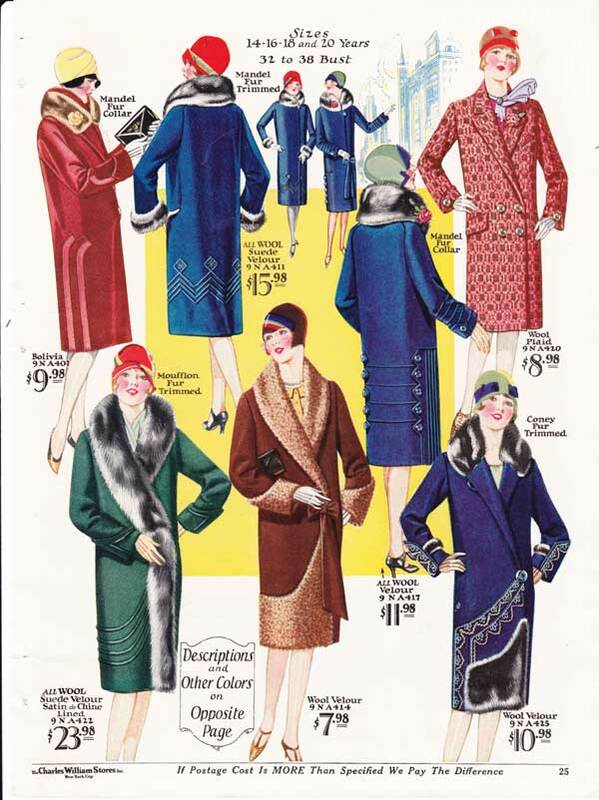 And while men may not have had as many options as women, men still had an amazing amount of fabrics and furs to choose from. Men also wore leather jackets called Horsehide Windbreakers. 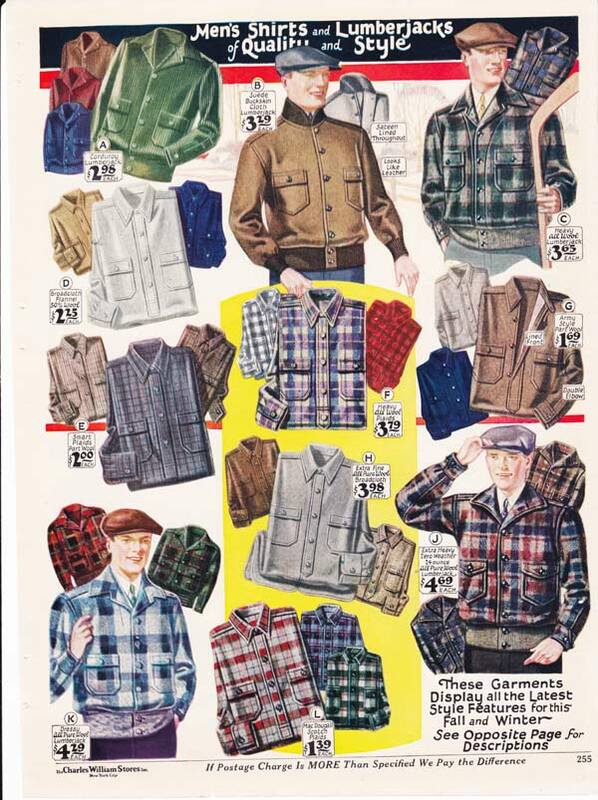 They were the precursor to WWII bomber jackets. 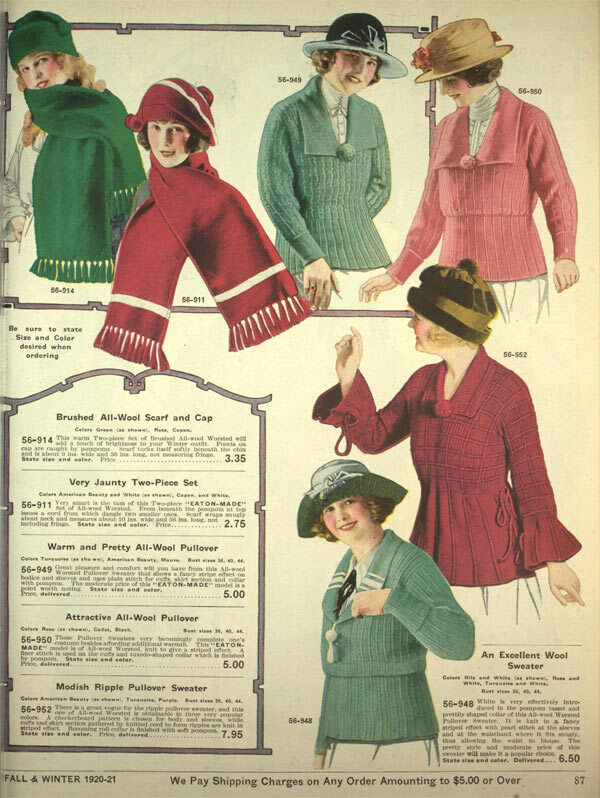 What type of sweaters did women wear in the 1920s? 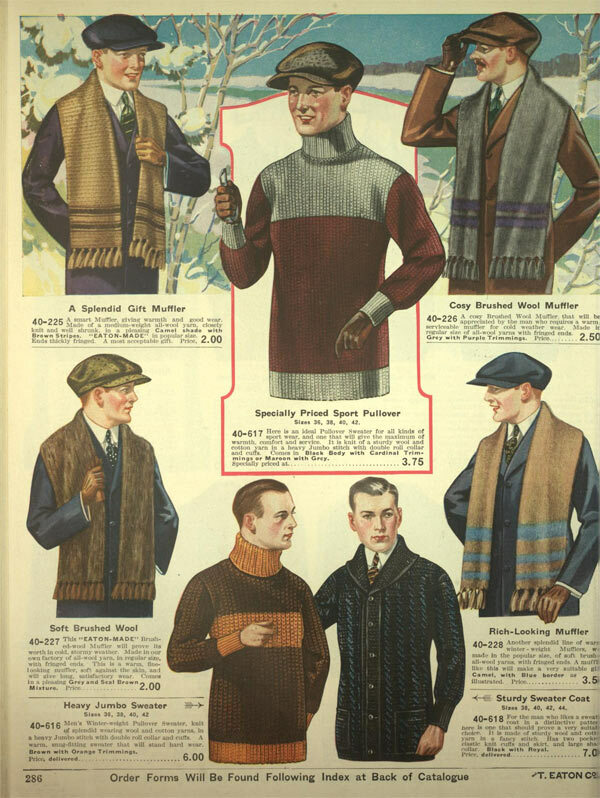 Wool sweaters were very popular throughout the 1920s. 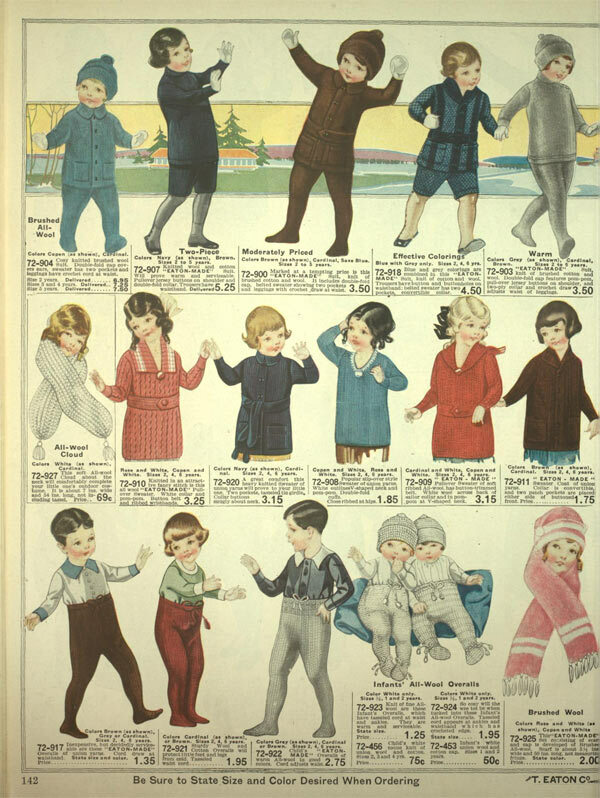 They came in various colors, but maroon and navy were very popular choices. 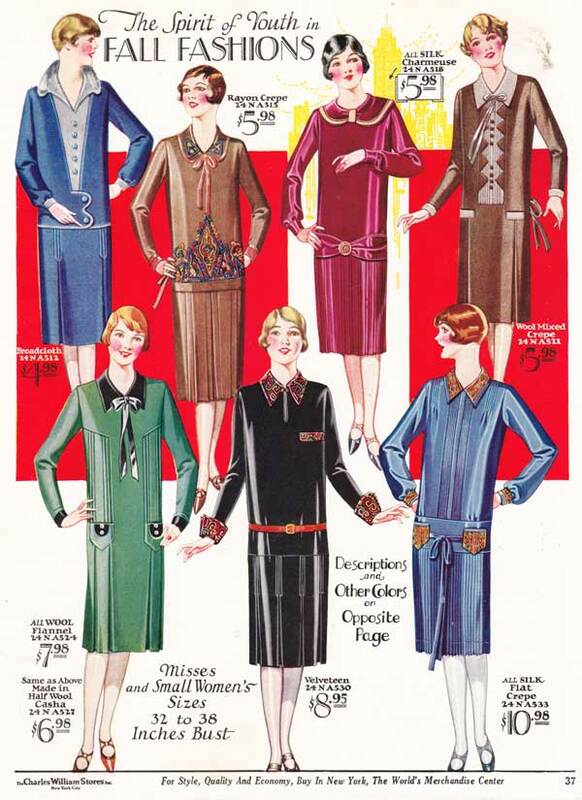 Some had buttons down the front, others had belts and wide collars. Best for year-round sports, the all-wool shaker knit-coat sweater had pockets knitted in. 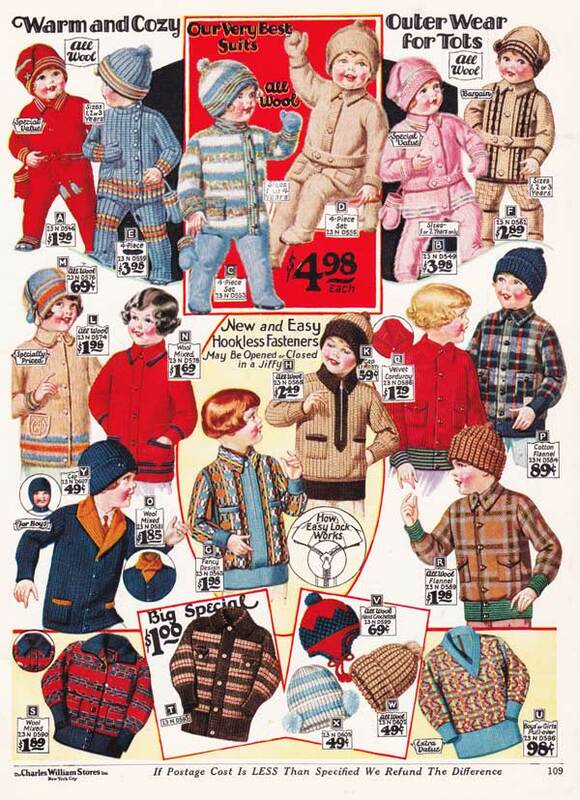 The less expensive versions had pockets that were sewn on. It buttoned up bust-high, with a double-knit shawl collar. The more expensive version had a fur collar sewn on. Cardigans were in high demand. 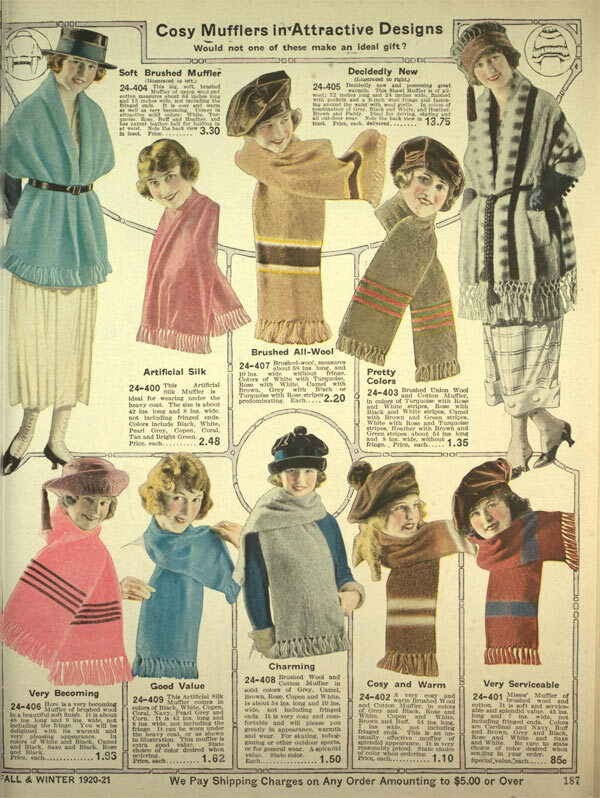 They were typically all-wool, double knitted and came in a huge range of colors. They could have anywhere between 3-6 buttons, with or without pockets. 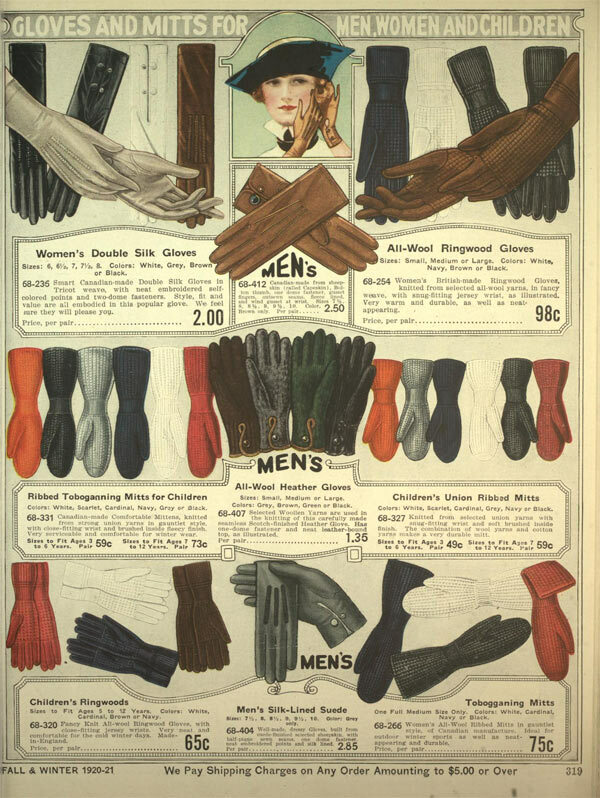 Silk handkerchiefs, scarves and gloves were popular accessories. Make-up was very heavy on some women and not on others. Hair styles evolved drastically during this period. 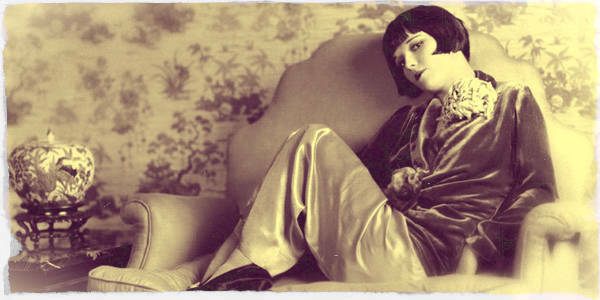 By about 1926, the style now known as “Flapper” began to take hold and many women were trimming their hair short and wearing it very close to their heads. 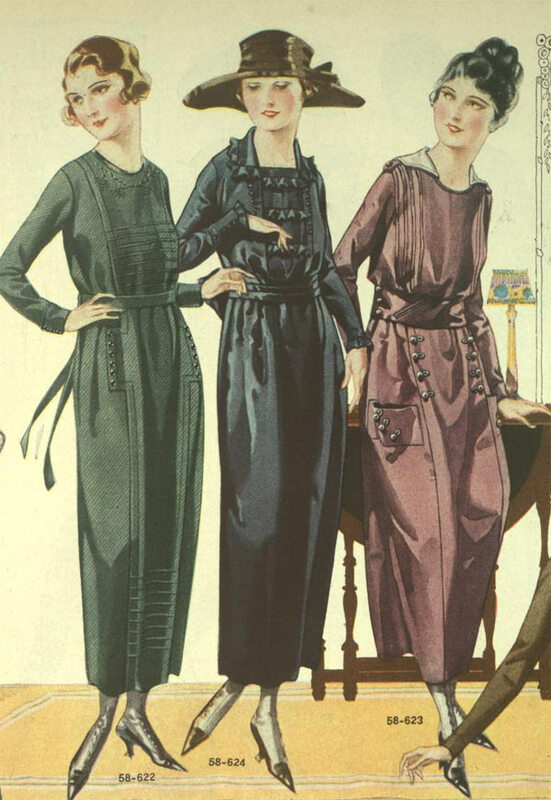 What type of dresses did women wear in the 1920s? 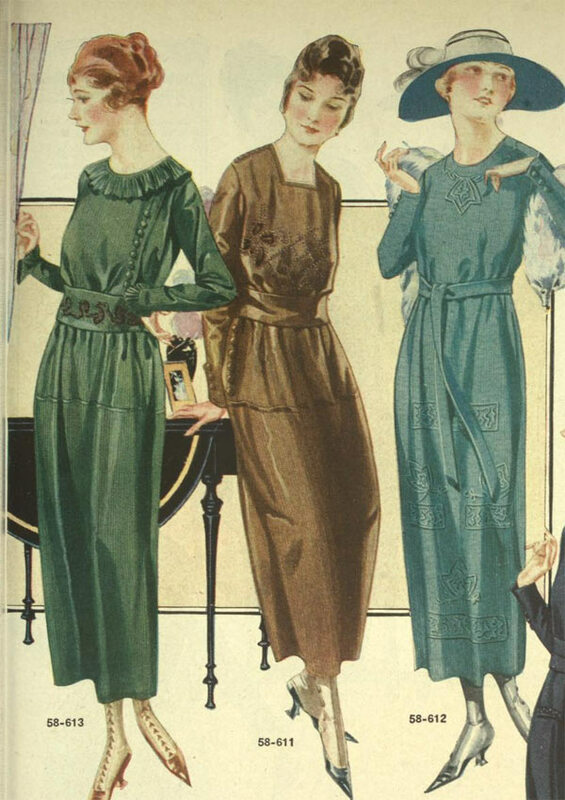 Dresses came in all kinds of colors and shapes, but a very common dress seen in the late 1920s was a thin, loose silk dress with a thin belt around the waist with similar colored, delicate embroidery on the chest. The hemline wandered up and down, some women loved showing leg, others didn’t. 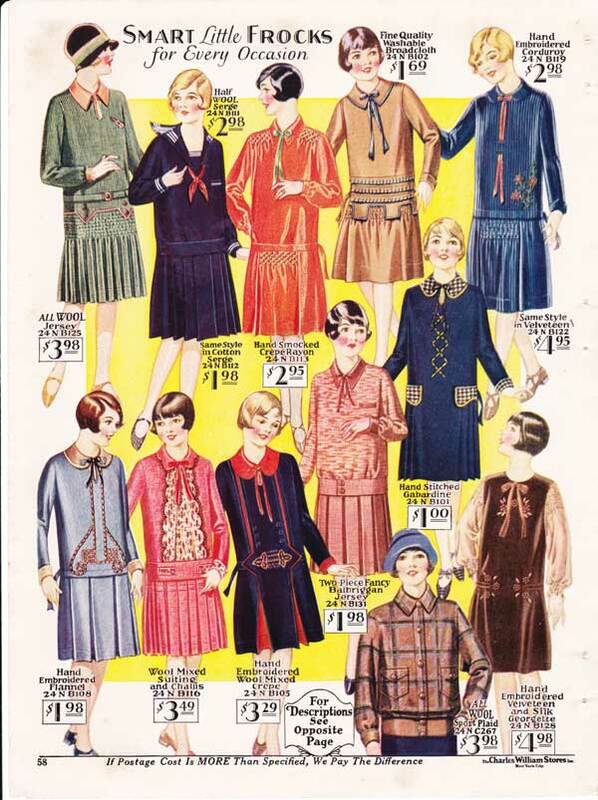 Fortunately in the 1920s, designers catered to all different tastes. The youthful looking frock of all silk flat crepe was made of contrasting color, hand embroidered Georgette crepe to match the narrow cuffs which are also trimmed. A square neckline was particularly chic with a jeweled pin and bow of self material. 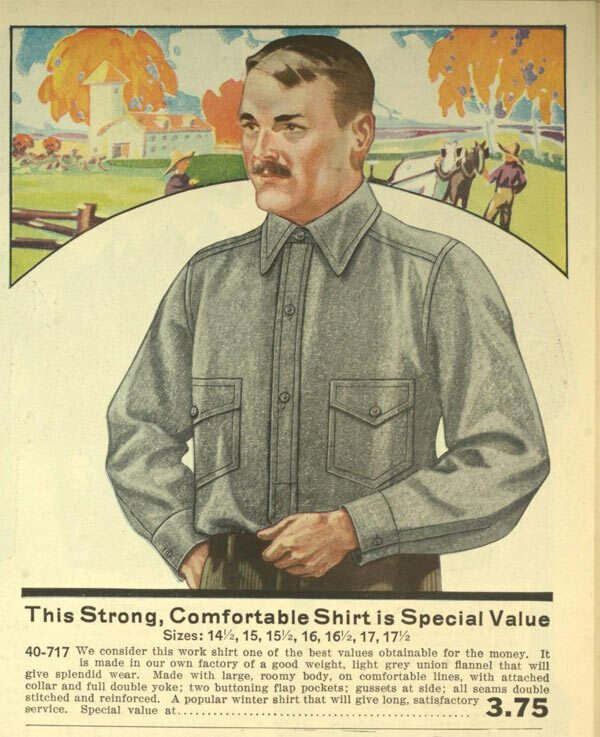 It also included a shirring across the front. 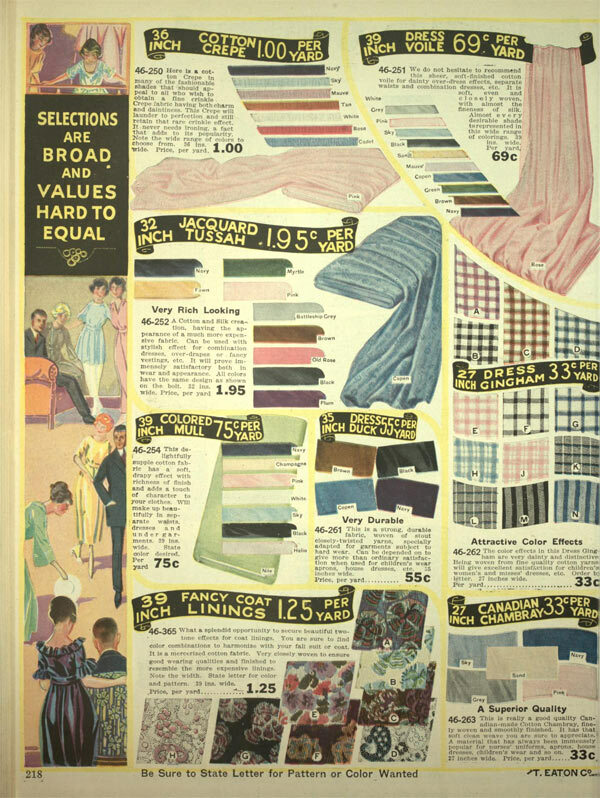 Another modern style was the two-piece effect. 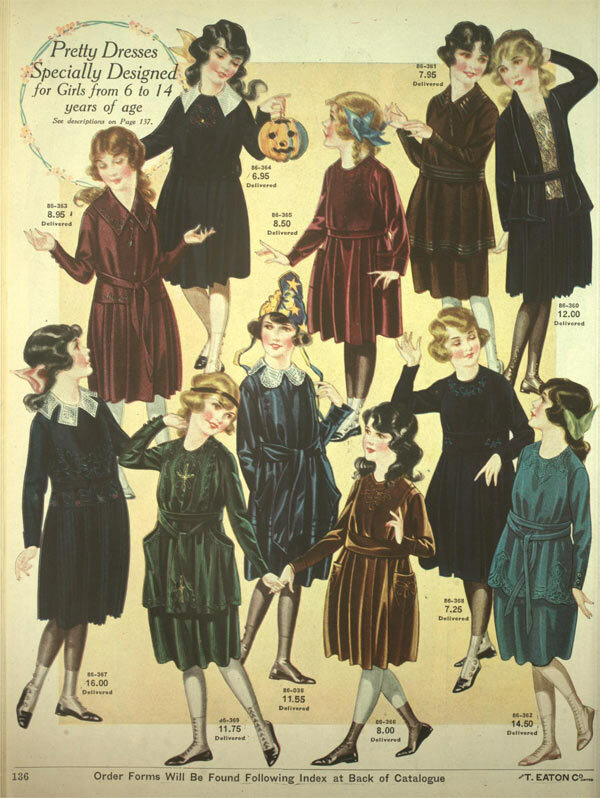 These sport dresses could be worn as a suit when weather permitted. 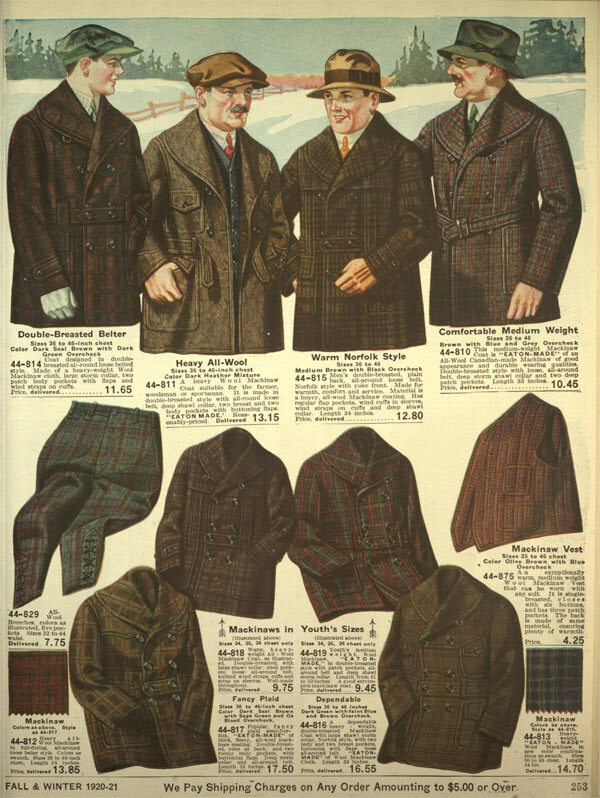 The attractive all-wool tweed model had a long vestee and collar of a harminizing shade of flannel. The skirt had pleats stitched partly down. 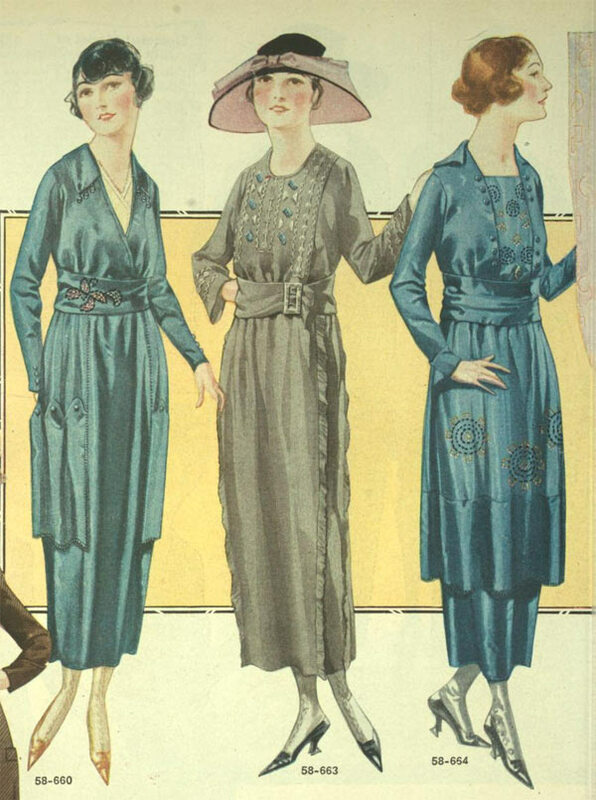 In New York women wore rayon crepe frocks year round because it was rich looking, but more affordable than silk. 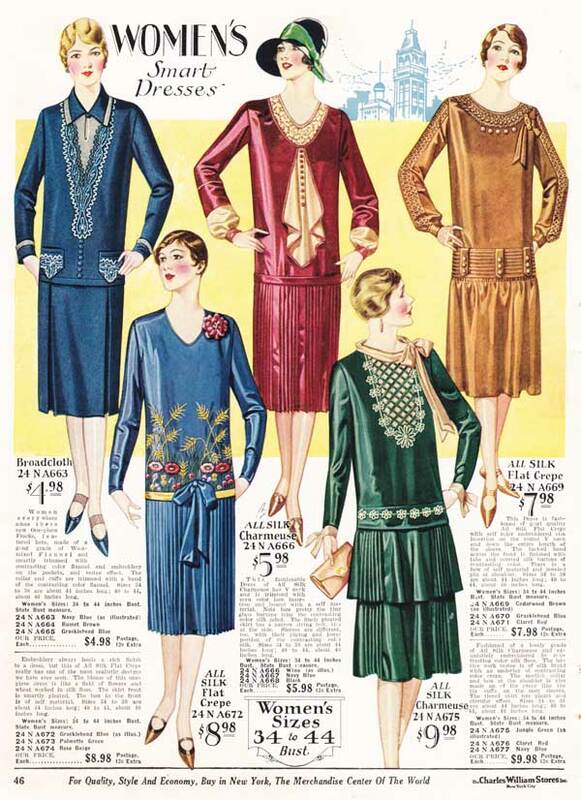 These dresses were designed on the straight, simple, yet distinct, lines. For daytime frocks, nothing was more luxurious than the lustrous all-silk Charmeuse. 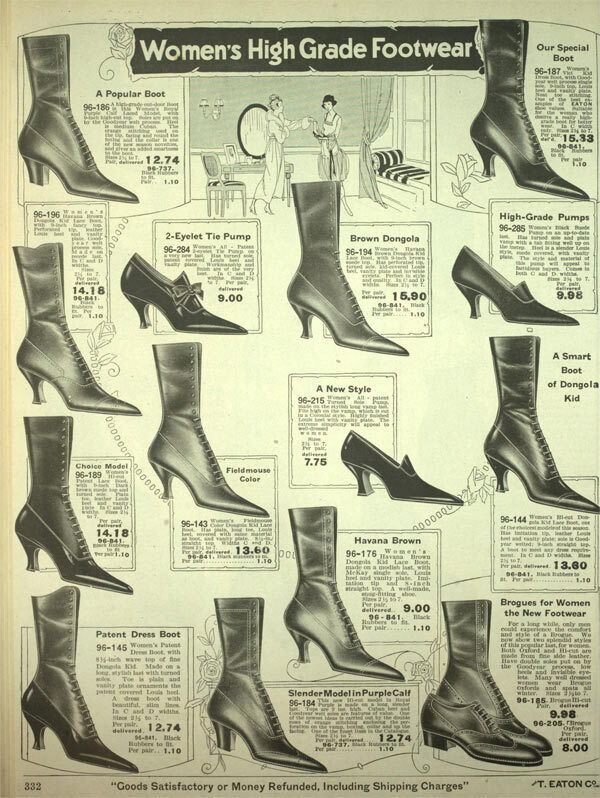 What type of shoes did women wear in the 1920s? 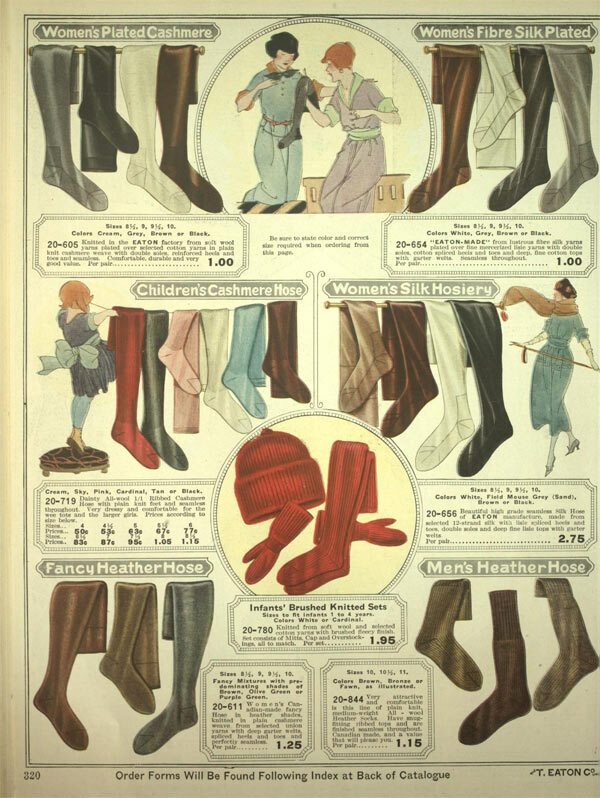 Women didn’t have nearly as many choices when it came to footwear. 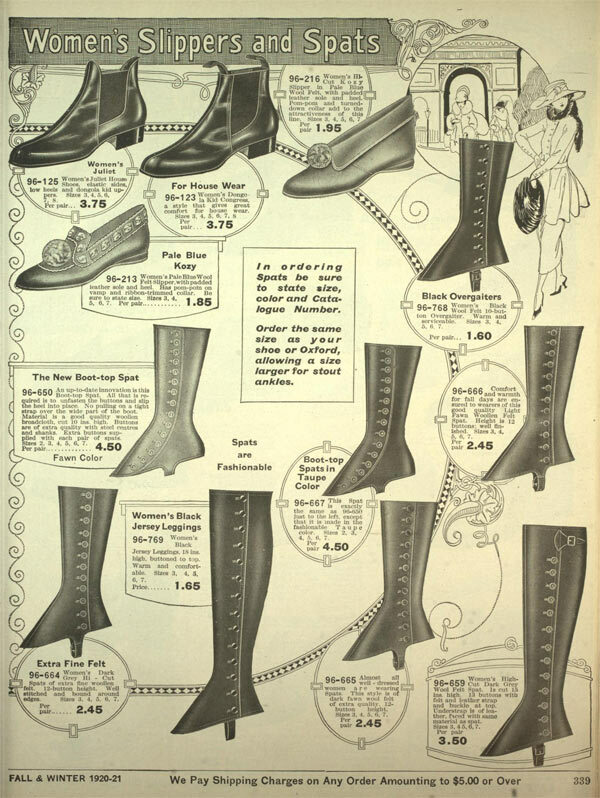 Shoes from the 1920s were often laced up past the ankle, with a relatively tall heel. 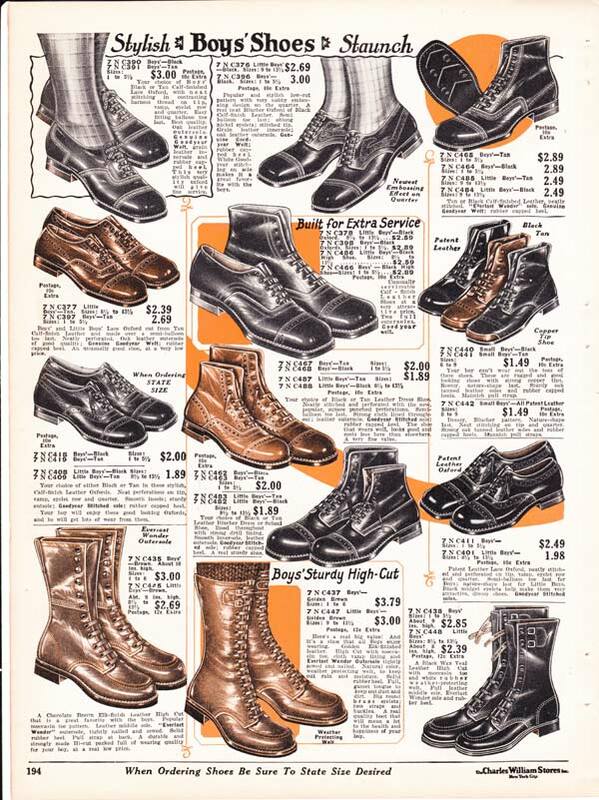 Day-to-day shoes were more practical, with a smaller heel. 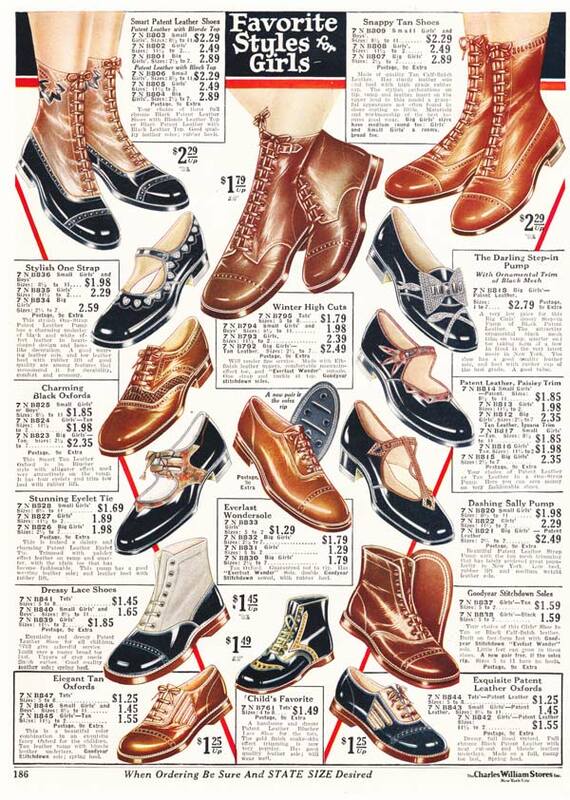 Some shoes came in brightly colored patterns, but most women wore black or brown leather shoes. 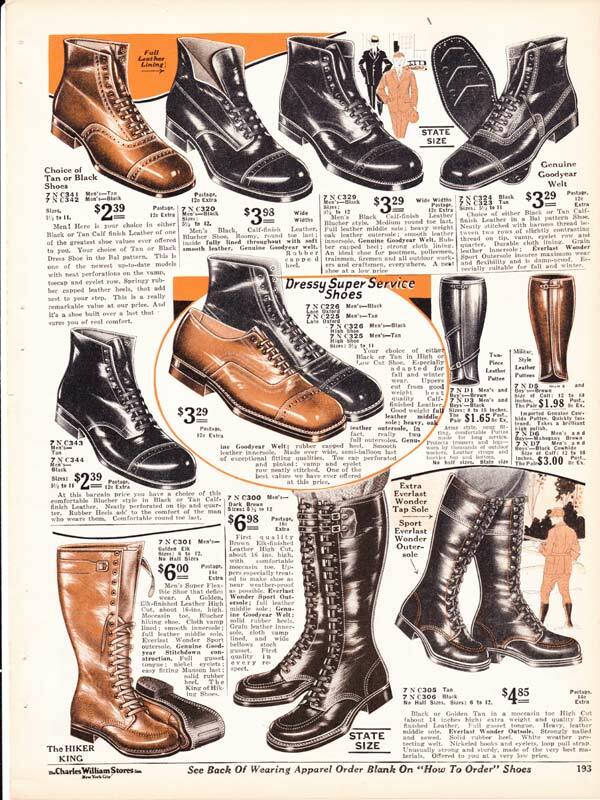 One popular style was the buckle pump. Made over a stylish medium round toe in black patent leather, the shoe had an antique silver finished buckle, which concealed an elastic gore, making adjustment easy. A dressier look would be the stunning loop strap, that was made from Autumn Brown mesh leather trimming on the vamp and quarter. 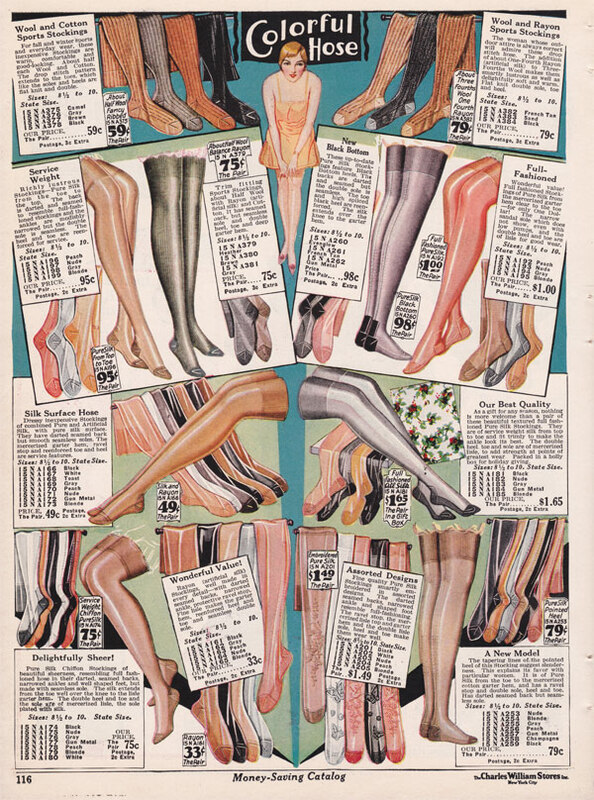 The light-colored leather quarter was carefully made not to soil hosiery and they had a spike heel. Women also loved Parisian Step-In Bow Pumps, made of “lizard-effect” leather, smartly perforated for breathability, with a covered Cuban heel. 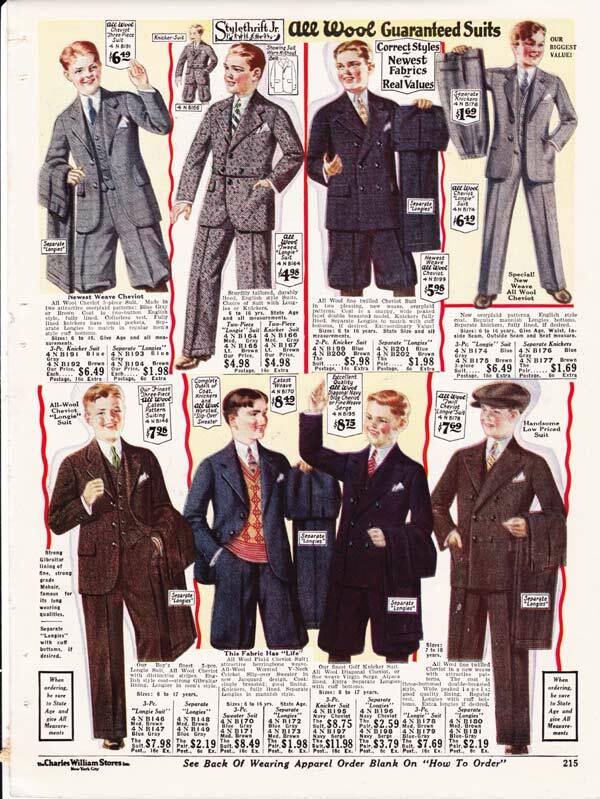 What type of clothing did men wear in the 1920s? 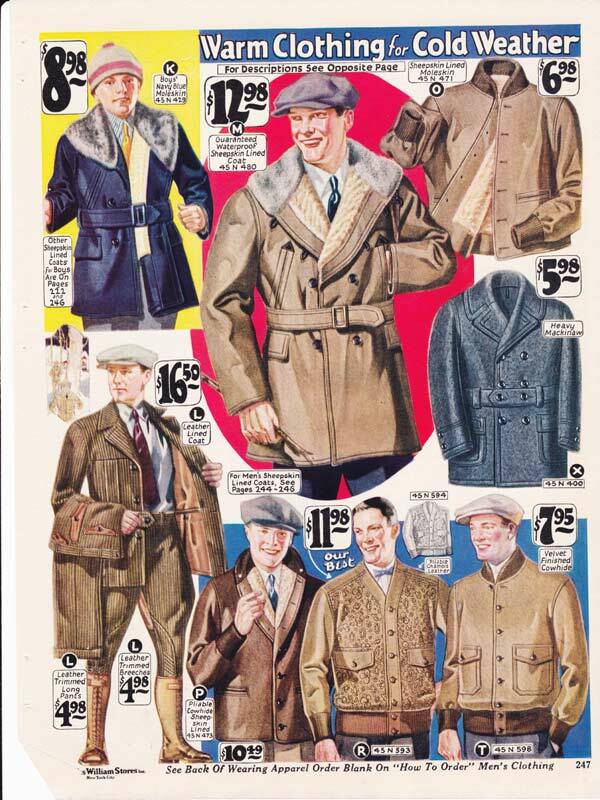 While women’s fashion was busy breaking new ground, men’s fashion stayed relatively unchanged. 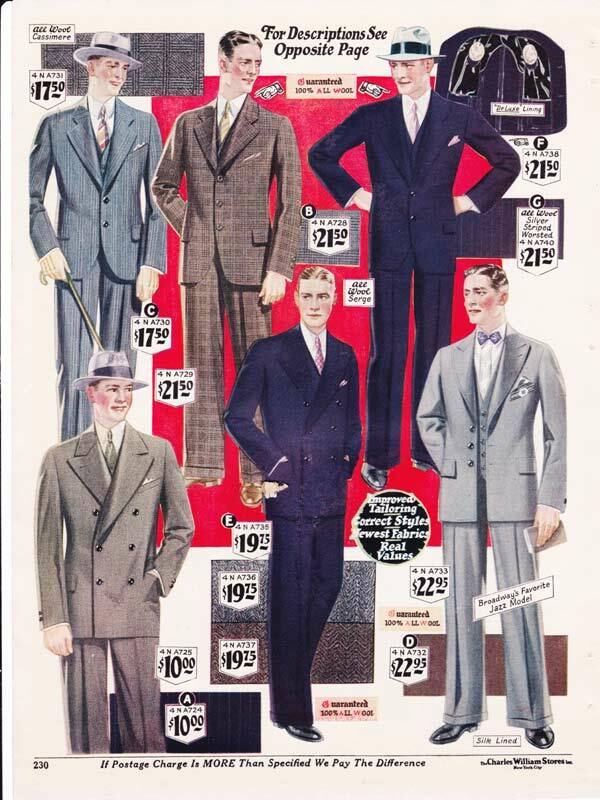 Men in the 1920s wore suits with hats into town and flannel at home. He liked boots and long overcoats. 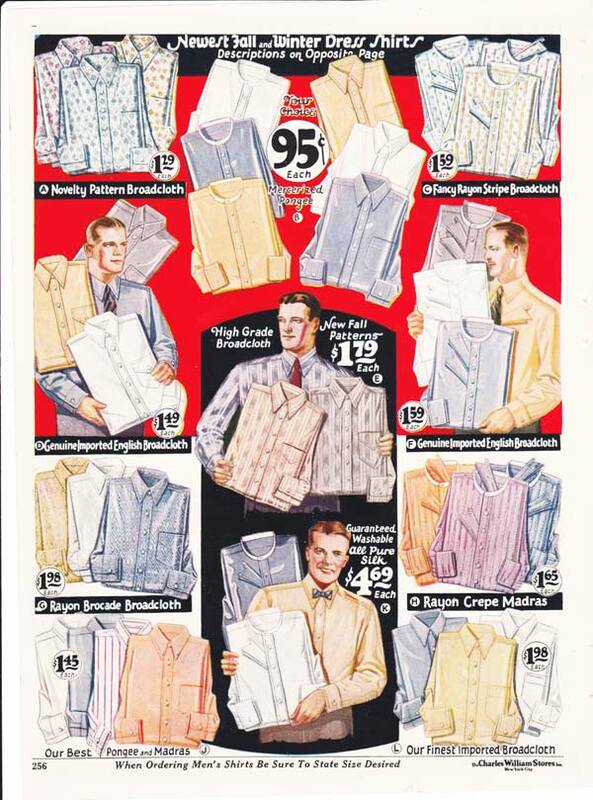 Dress shirts were often lightly colored or white, with or without collar. 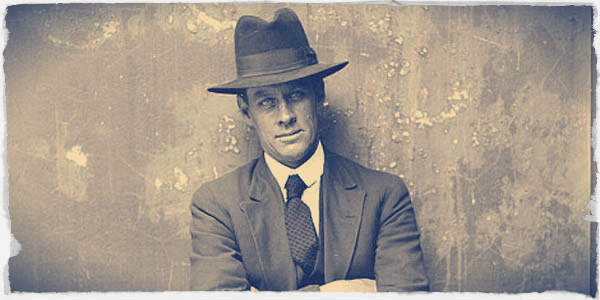 Sometimes a man would substitute the dress coat for a flannel lumberjack, while still wearing a shirt and tie underneath. This was for a more casual look. 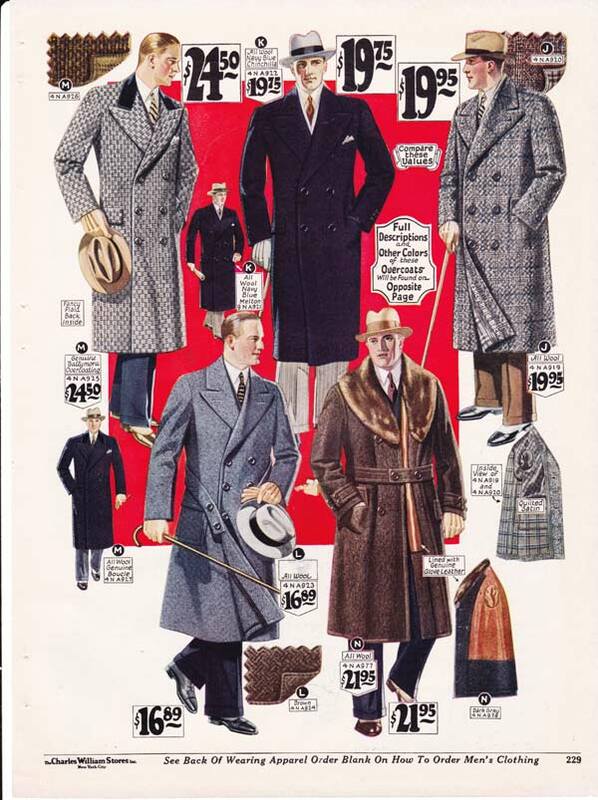 For the man who was looking to impress, a hat was a smart look, and even a cane could add a bit more sophistication. To go even further, he would have an $80 14k gold pocket watch, a bow tie, black shoes and a fitted vest. Custom tailoring was very important, suits needed to be sized perfectly. 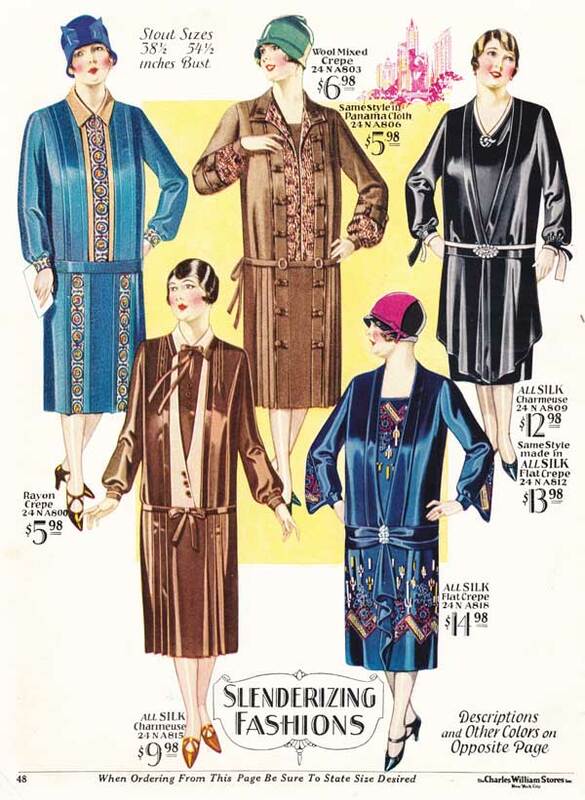 At home, the 1920s man would change into his lounge coat, or smoking jacket. 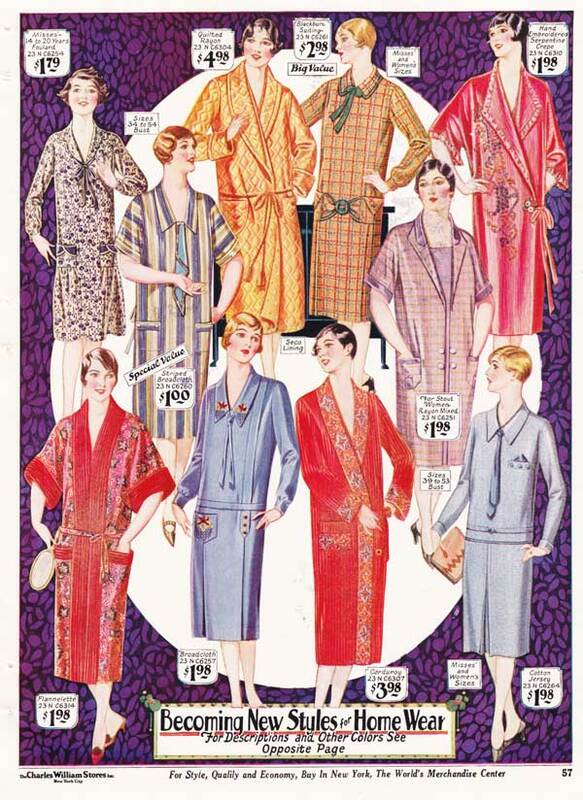 It was a soft, long, loose fitting robe that came in all different patterns and fabrics. 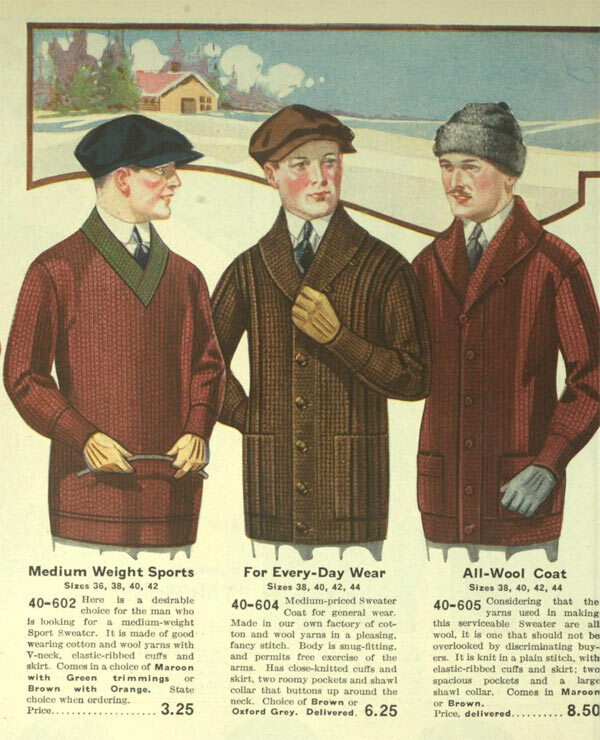 In the winter, 1920s men loved ribbed sweaters of the button down and v-neck variety. 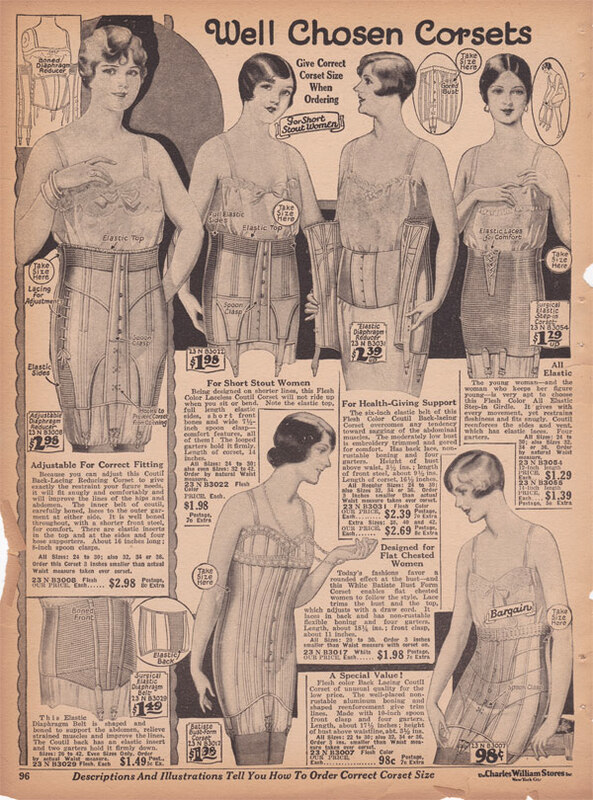 Want to learn more about 1920s fashion? Check out our huge collection of pictures below. 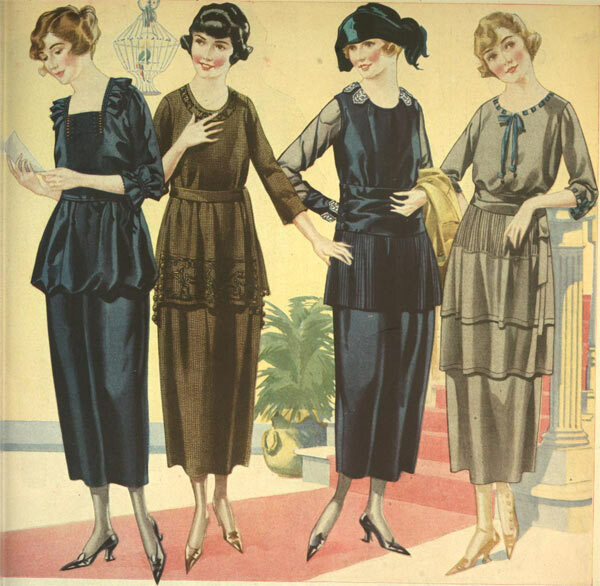 For nearly one hundred years, 1920s women's fashion has been known as one of the most glamorous and innovative periods in modern fashion history. 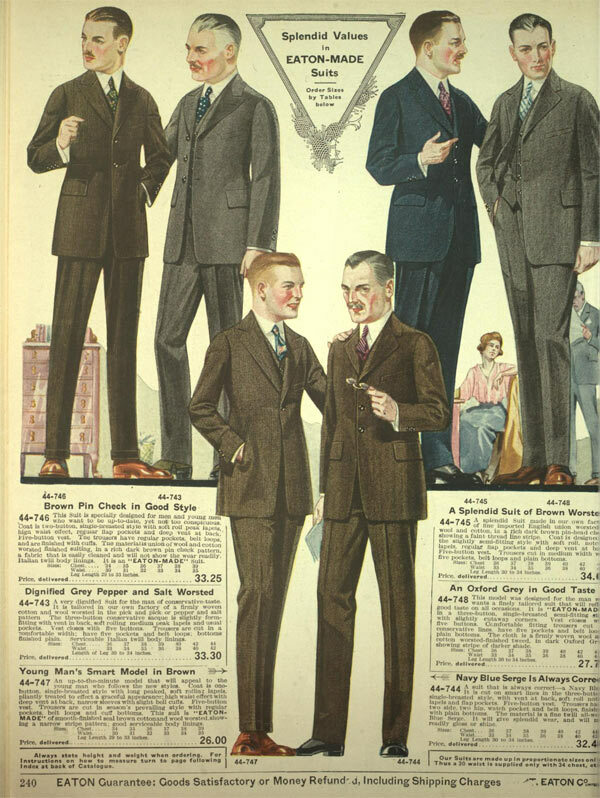 Fashion for men in the 1920s was not known for its individualism, but the lack of individuality certainly didn't equate to a lack of elegance and design.